We are aware of a lot of scammers in the ICO universe and we want you to protect yourself from them. Our admins will always ask you to reach out first, they will never message you first. Notice the word ADMIN in grey next to their name in the group. That is only visible in the group. 3. No team member will ask you for cryptocurrencies or money on the Telegram group. The wallet address available on the user dashboard of the HELIX Orange platform is the only address that one can send contributions to. 4. Other group members are not eligible to give discounts on spend tokens. Their only goal is to offer you tokens in exchange of money and run away. 6. Do not believe any information regarding HELIX Orange received in a private message sent by anyone who isn’t an admin of the group. Admins post all official information in the HELIX Orange group and not as a private message to anyone. 7. Make sure you block and report any user displaying suspicious behaviour/ sends spams on the group. 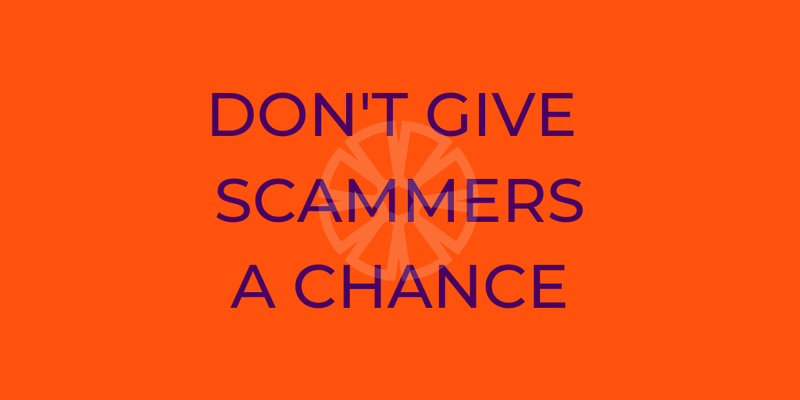 We are currently working on an Anti-Scam-Service to detect shady people claiming that they work for us. As soon as we are live we will inform you about it.